While we often associate spring cleaning with clearing unwanted items out of the closet or reorganizing the garage, these are far from the only tasks you should prioritize before summer hits. 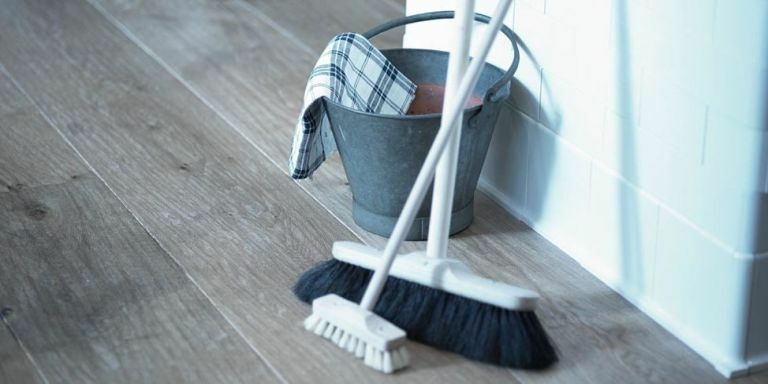 After all, spring cleaning requires that you do some actual cleaning — and few areas should take higher priority than your floors. While hiring efficient carpet cleaning services for spring cleaning is a great start, it is important to remember that each type of flooring has different cleaning needs. Here’s what you need to know to ensure that your cleaning efforts go smoothly. Regularly cleaning your carpet is a must if you want it to stand the test of time. In fact, proper cleaning could double the lifespan of your carpeting. As such, hiring a professional to help with your spring carpet cleaning is essential for giving it the care it deserves. Before the carpet cleaners arrive, however, you still need to do your part. Slowly vacuuming over your carpet will allow you to clear out a lot of dirt. Be sure not to set your vacuum too low, as this could actually damage the carpet. However, some carpet cleaners will also vacuum for you. While you can DIY a carpet deep cleaning, letting a pro handle the work will give you more time for other spring cleaning tasks. Professional carpet cleaners will move your furniture, remove routine spots, precondition and deodorize your carpet before applying a high-pressure rinse. This intensive cleaning removes grease residue, allergens, and dust in a way that vacuuming alone could never accomplish. To prevent excessive dirt buildup and keep your carpets in great shape, you should vacuum on your own every week, and schedule a deep cleaning at least once a year. As with carpet cleaning, cleaning wood or tile floors should start by vacuuming or dry-mopping the floor to remove dirt and debris. You should also move furniture out of the way to ensure you can thoroughly clean the area. With wood floors, your next step is to apply a specialized floor cleaner to the surface. Most hardwood floors will actually be damaged if you use water, so damp mopping is only recommended for polyurethane floors. Be sure to mop with the grain of the wood, and wipe the surface dry when you’re done. Consistent cleaning will help you avoid the need for refinishing your wood floors. Most cleaning professionals recommend sweeping your wood floors weekly, while providing these more thorough cleaning at least four times per year. When it comes to cleaning tile flooring, the grout should actually get most of the attention. This area is more absorbent than the tiles themselves, making it far more likely to look stained or dim. For best results, you don’t even need a commercial cleaner. Instead, create a baking soda and water paste and rub it into the grout. Allow the paste to sit overnight before scrubbing the area the next morning. For general tiles cleaning, an all-purpose cleaner will generally suffice. Tile doesn’t need to be cleaned as frequently as other materials, but addressing spills quickly and regularly sweeping or vacuuming will keep them looking their best. Giving your floors a lot of attention during your spring cleaning doesn’t mean that you’re off the hook for the rest of the year. After all, your dog could track dirt into the house or your kids might spill their juice on the floor. But as you give your flooring the attention and care it deserves now, it will be better equipped to stand up to these future problems. Better yet, you’ll know how to effectively handle these issues when they arise, ensuring that your house is always clean and beautiful.